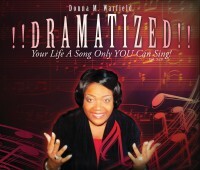 Purchase | Dramatized! Your Life a Song only YOU can Sing! Looking for gifts? Spend $40 or more on any combination of Donna’s Work and receive FREE shipping! What floats your boat? In other words, what drives you? What motivates you? What encourages you to keep moving? What makes you happy? What brings you contentment? What brings you joy? What satisfies you? What turns you on? What keeps that fire for life within you burning? 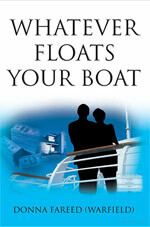 Does money float your boat? Do your children float your boat? Do your affiliations float your boat? Do YOU float your boat? Does your education float your boat? Does your economic status float your boat? Does your position in the work place float your boat? Does your employer float your boat? Does success float your boat? Does your spouse float your boat? Over the years I have had opened and closed chapters in my life, which have become a book of memoirs and experiences. This bestselling book has been written on the tablet of my heart and for the first time I have a burden to release it. There is an old familiar saying that states, “We learn by experience”. That may be true in some instances; however, I have come to a place in my life where I don’t necessarily have to learn by experience. I believe wisdom knows when to learn from others experiences and avoid unnecessary pain. Experience can sometimes be a hard teacher; you get the test first and then you learn the lesson. For those of you who have not experienced much pain my desire is that you would embrace this reading and not have to go through some of the pain that some of us have experienced. For those of you who are currently experiencing pain I believe this book will assist you as you exit out of the pain. Over the years, I have consoled many people who have never fully recovered from adverse situations or encounters; experience is not always the best teacher. I believe wisdom is the best teacher. Wisdom begins with the humility to accept the fact that none of us have all the right answers; the courage to learn to ask the right questions and address our issues; and last and most importantly, the tenacity and resilience that is required to follow through.